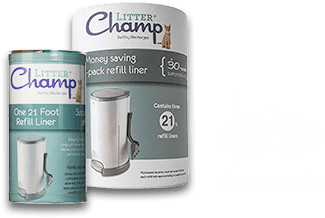 Litter Champ® is a convenient and odor-free cat litter disposal system designed to keep homes fresh and cats happy. Forget about lifting lids, pushing buttons or pulling levers. Litter Champ’s hands-free pedal is hygenic and super easy to use. Just scoop, step and drop! 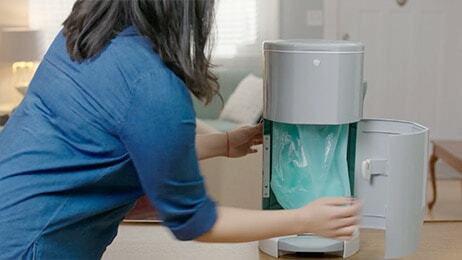 Litter Champs triple-seal design locks odors in to keep your home fresh and clean. 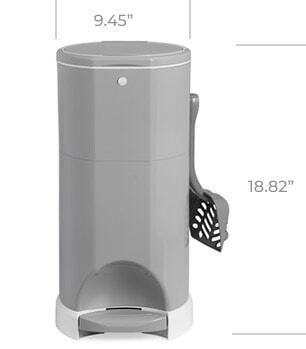 With Litter Champ’s odor-free system, you don’t have to empty the pail until it’s completely full so that means no more daily trips out to the garbage! More Than One Litter Box… No Problem! 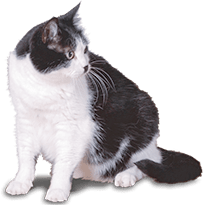 Managing multiple litter boxes has never been easier! 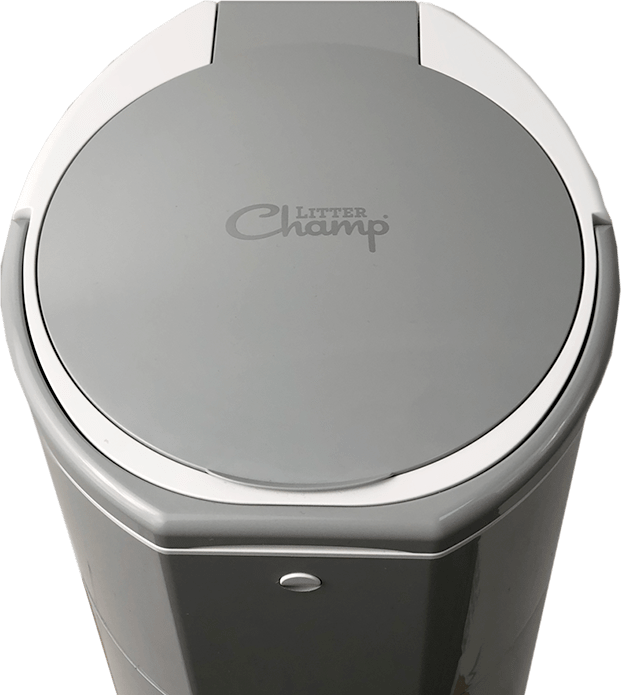 The convenient handle lets you easily carry your Litter Champ from room to room without any mess or fuss. 30% longer than the leading brand, Litter Champ continuous liners will last an average of 2-3 months per cat! Continuous also means there’s zero waste – you only use as much or as little as you need. 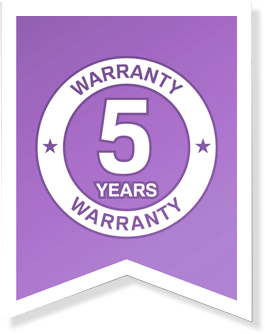 The 18 micron thick liners are durable, flexible and tear-resistant and made with 20% recyclable materials that are 100% biodegradable. 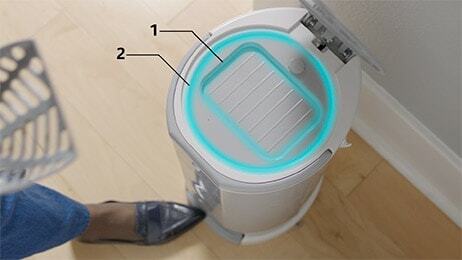 When your’re finally ready to refill, installation is quick and easy. Available in single and economy 3-pack. 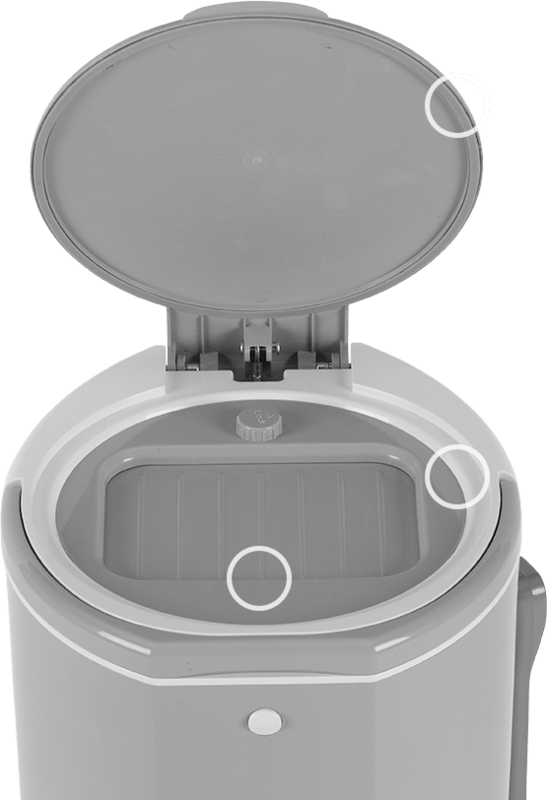 Included with every Litter Champ is a sturdy ABS scoop strong enough to take on even the toughest of litter box clean-up jobs. Conveniently hang your scoop after you’re done on the handy built-in hook. Litter Champ is made with an exclusive ABS resin that provides a sturdy structure resistant to corrosive chemicals and physical impacts. It’s non-pourus surface makees keeping your pail neat and clean super easy to do.